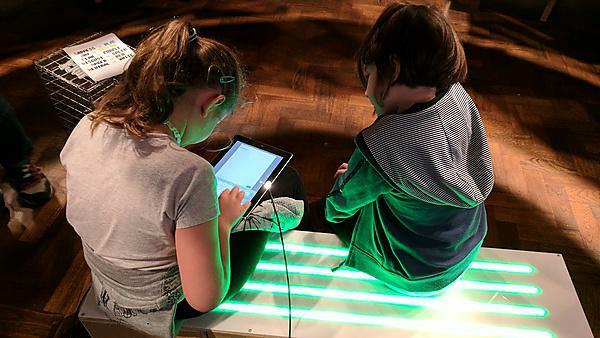 Visitors had the chance to talk to a plant, chat with a bench and deceive a light at an exhibition staged by the University of Plymouth at the Victoria and Albert Museum in London. Hack the City, part of the museum’s Digital Design Weekend, comprised three interactive and playful installations that showed how simple code can connect us with everyday things. Hundreds of people took the opportunity to come and meet academics and graduates from the University, and see how their research is exploring innovations which could revolutionise the future of smart technologies in cities. 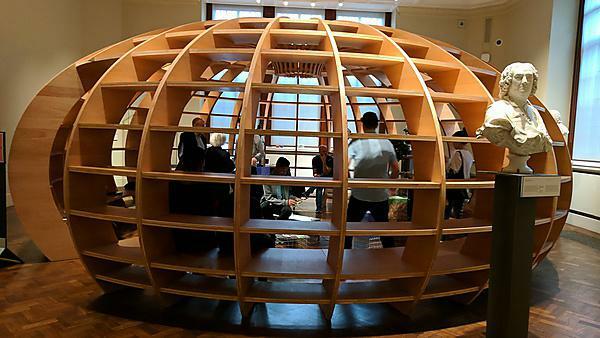 The University’s presence in the Globe space of the Europe Gallery was coordinated by Dr Katharine S Willis, Associate Professor (Reader) from the School of Art, Design and Architecture and was in collaboration with One Polygon, Chris Hunt and the Open Data Institute (ODI) Devon. It builds on her current project Whose Right to the (smart) City?, funded by the Arts and Humanities Research Council, an international network bringing together different global perspectives to respond to the current smart city agenda. The Digital Design Weekend was held at the Victoria and Albert Museum on September 23 and 24, and the Plymouth exhibit proved popular among visitors. In the talk to a plant element, visitors were able to view live data feeds of CO2, humidity, temperature and moisture levels on an augmented reality 3D interface displayed on a tablet. With the chat to the bench installation, visitors could Tweet how they were feeling that day to a specially designed bench that used sentiment analysis and Artificial Intelligence to display their emotions as a colour on the bench surface. Finally, the future of surveillance was introduced through deceive a light, which used facial recognition software to detect presence and switch a light on and off. Children were invited to test out different patterns of facepaint to deceive the light into thinking they weren’t there. In addition children had the opportunity to join two workshops run by Open Data institute Devon – Paper Hacks and Hello World. These brought the technology and design thinking behind Smart Cities to an entry-level audience, exploring new ways of interacting with our environment by designing simple paper prototypes of imaginary devices that could become reality and allowing participants to handle and inspect the basic devices and sensors that drive the interactions.